People decide if they are interested within 10 seconds of seeing a video. In advertising, that leaves no time for anything but the best. Fortunately, there is a solution for catching your audience’s attention: professional video production. Professional video is a great way to create rich content for your business. We have all the skills necessary to turn your video dreams into a reality. Your TV commercials should spark a connection between your brand and your audience. Without that connection, your brand won’t be remembered. Even if people remember the commercial itself. A memorable commercial doesn’t equal an effective commercial. How do you create a TV commercial that is both memorable and effective? Think of a TV commercial you remember. The best commercials don’t just sell a product or service; they tell a story. Whether it is a heartfelt story or funny one, create a storyline your audience can relate to. TV commercials reach a larger audience than newspaper or radio. They allow you to display your message with sight, sound, and motion. TV, in all its forms, is the world’s favorite video. On average, TV accounts for 90% of the average viewer’s video time. For the younger audience, who are the most enthusiastic experimenters with all forms of video, it is also the largest proportion of their video time at around 73% of the total. High Quality TV Commercials production value will make your message shine. We can help you come up with a script, find talent, and even distribute your commercial. Our team ensures that your creative is in-line with your brand and can be applied across all types of media. TV commercials have lots of advantages that make them a popular medium for advertising. The screen we all know and love. High production value will make your message shine. When done well, TV commercials can bring in a lot of revenue.  Killerspots conducts an analysis of your target’s media consumption in order to place your commercials at the appropriate times. Do you need a quote or more information about video production?